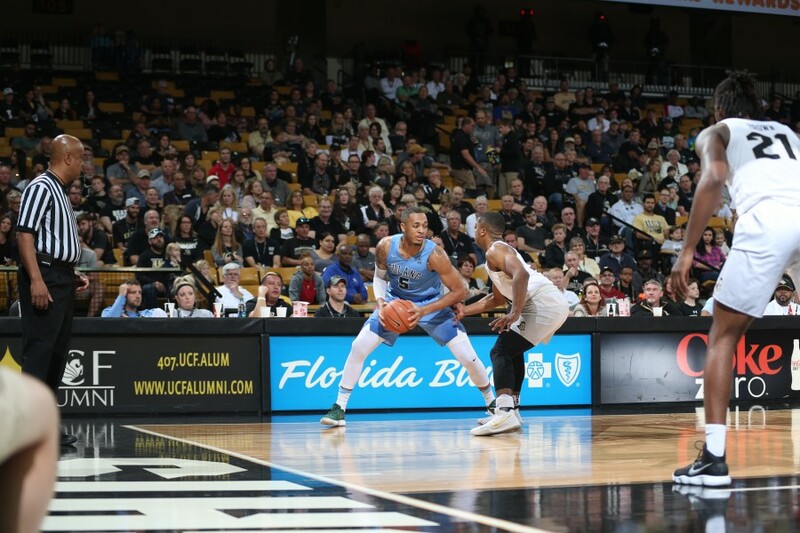 Senior Cam Reynolds goes into a triple threat in his final regular season game at UCF. Reynolds was Tulane’s only senior this year. 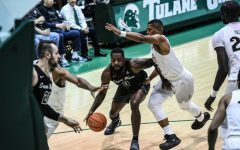 With Tulane men’s basketball’s loss at the University of Central Florida in Orlando, the team officially finished its regular season. The 2017-18 campaign will end with a record of 14-16, along with a record of 5-13 in American Athletic Conference play. Though the team finished 10th in conference for the second year in a row, this year’s season was in fact an improvement. In the 2016-17 season, Tulane finished with an overall record of 6-25 and an AAC record of 3-15. While the team only won two more in-conference games this year, the Wave garnered eight additional wins overall. These eight wins gave solid proof that the Green Wave is making progress, especially in out-of-conference play. Head coach Mike Dunleavy Sr. touted this progress as a product of the team’s familiarity with him, his system and their fellow players. 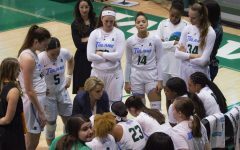 While Tulane did not have a win over a ranked team, the Wave did acquire one marquee win over the University of Houston Cougars on Jan. 17. Houston was not ranked at the time of the win, but the team is currently ranked No. 21 in AP’s Top 25 poll, likely giving the Cougars a tournament berth. With a win over a team like Houston, the Wave proved that it can play at a high level. Unfortunately, the Green Wave will lose a star in redshirt senior Cameron Reynolds following the AAC Tournament. Luckily for the Wave, the team has many up-and-coming players who will be returning next fall to continue the recent growth. One of these players, junior guard Melvin Frazier, was recently selected to the All-AAC second team after his stellar season. Dunleavy was outspoken in his praise of Frazier’s development. Dunleavy was also encouraged by the development of the team’s freshmen, including guard Caleb Daniels and forward Bul Ajang. 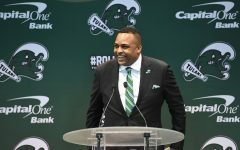 Overall, Green Wave men’s basketball fans will have much to look forward to in the coming years. 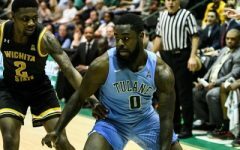 With up-and-coming players such as Frazier, Ajang and Daniels, and proof of legitimacy with a win over a now-ranked Houston, Tulane will have more talent to rely on than it has had in years past. Under the leadership of Dunleavy, a former NBA coach of 17 years, the team has an opportunity to truly reach new heights. While Tulane has a long way to go to reach national acclaim, this near .500 season is a big step in the right direction.